It’s easy enough to make a single pitcher of iced tea for yourself and a couple friends. But what do you do if you need enough iced tea for a large gathering like a 4th of July BBQ? Making enough iced tea for a large gathering is basically a “rinse and repeat” type of process. The benefit however, is that a high quality, loose leaf tea can be steeped more than one time to double or triple the amount of iced tea made. The key is efficiency. The last thing you want to do is spend hours in the kitchen making iced tea. Wouldn’t you rather enjoy that time with friends and family? Simply use an electric kettle to heat the water in a quick fashion, a large pitcher with a strainer or large infuser basket to brew up large quantities of tea, large glass or plastic jugs to store the iced tea, and a timer so you get the steeping time just right. I use the timer app on my phone and it works great. Ideally, if you have the opportunity, I suggest making the tea the night before, allowing it to cool to room temperature to prevent clouding, and put it in the fridge to chill overnight. If you’re in a hurry though, it’s not a problem. You can serve freshly brewed iced tea when it’s still hot over a full cup of ice and still get great results. Heat the water just to a boil and pour the hot water into your steeping pitcher. Measure out your loose leaf tea into the infusing basket and insert the basket into the hot water. You want to double the amount of tea you would use for hot tea when making iced tea. Alternatively, you can add the loose leaf tea directly to the hot water in the pitcher. You’ll need a strainer to remove the tea leaf after steeping. Set and start your timer for 3 minutes. Remove the infuser or strain your tea and pour the hot tea into one of your large jugs. Repeat this process until you have enough tea for your event. Refresh your tea leaf after 2-3 steepings. Re-steeping tea: You can re-steep, up to 3 times, a high quality loose leaf tea and achieve great results. It’s far more effective than bagged tea and makes a better tasting iced tea. Control Flavor: Adjust the amount of measured loose leaf tea to your desired strength of flavor. If you want a strong tea, use more tea, a weaker tea, measure out less tea. This method is more effective for controlling flavor than steeping the tea for longer periods of time and expecting a stronger brew. In fact, over steeped black tea will become bitter. Prevent Cloudiness: If you have the time, allow the finished hot tea to cool to room temperature before putting it in the fridge to chill. This prevents the brewed tea from clouding and serves up a clean glass of iced tea. When the weather heats up it is important to stay hydrated. The healthiest and most delicious way I know to keep my family drinking fluids is with homemade iced tea. 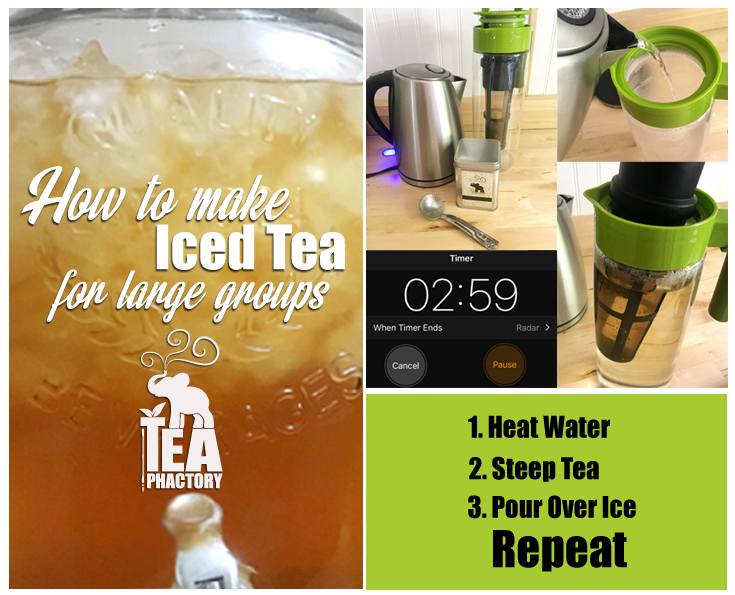 I use my MIST Ice Tea Jug to brew up several jugs of refreshing iced tea throughout the day. 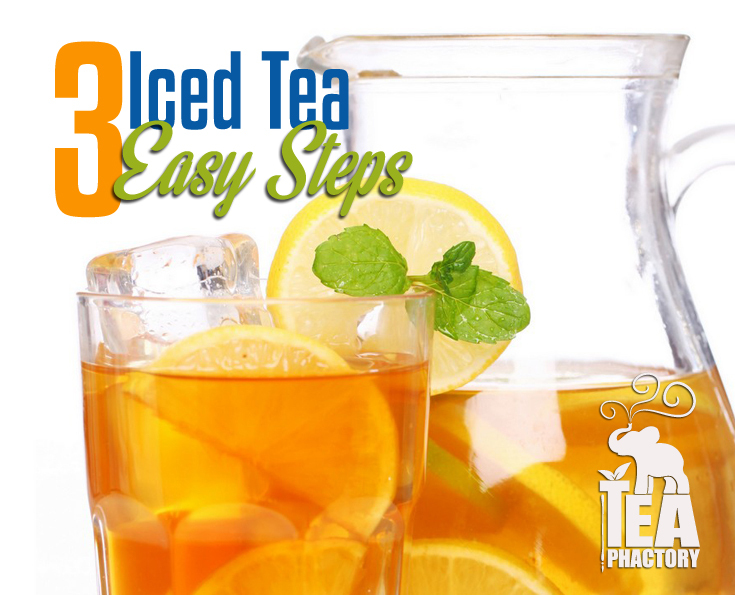 The simple hot-steep method using the MIST Ice Tea Jug makes 1½ quarts of iced tea in about 10 minutes. You can use any loose leaf tea, including green, black, white or oolong. Herbals like Rooibos and Yerba Maté make delicious iced teas as well. Iced tea made with loose leaf tea is more flavorful and healthier than powdered mixes, bottled iced tea, or grocery store bagged tea. Add tea leaf or herbal and 1 Tablespoon stevia leaf to MIST Ice Tea Jug. Pour 3 cups heated water into MIST Ice Tea Jug and steep for recommended time. Add 2 cups cold water and ice to fill MIST Ice Tea Jug. Stir to melt ice and chill for 30 minutes, or serve immediately over ice.